It’s another week in the blogging neighborhood of Lorelle’s World with plenty of activity and action. A few minutes ago I competed a podcast interview with the Download Squad on the topics of blogging and blog writing. I’m working hard on my two upcoming big article series on blog writing and personal blogging. Working on books. And I’ll have a huge announcement for a big project I’m working on next week – so stay tuned for more fun with Lorelle. Also, a word of warning. We’ll be raising the price of my book, Blogging Tips, soon as the price of shipping and handling is going up, and we’ve extended the introductory price as long as we can. Get your order in soon as the price and shipping will be increasing. Remember, I write daily articles on the Blog Herald, including the popular WordPress Wednesday news reports. If you are looking for the latest on WordPress news, Plugins, Themes, security issues, new releases, WordPress.com, and all things WordPress, check these out. The most recent article was WordPress Wednesday News: Happy Birthday WordPress, Automattic Wins and Gets Lots of Money, Security Concerns Over Plugins and Core, WordCamp Hamburg and Hating the Name WordPress.com. Define Blogging takes a look at what many bloggers are asking about what it takes to define blogging. There are a lot of complicated and yet simple answers. Setting Your WordPress Blog Clock helps you to set your WordPress blog clock to the right time setting for you. Weekly Digest: Writing About Writing, Working on Books, Lots of Speaking Gigs, and Blog Struggles is a Success is the last issue of my weekly digest summary. Download Squad: I just completed the interview with Download Squad and we had a great time talking about blogging, especially how to break down the stagnancy on the web by finding the passion in your blogging again. If you want the latest in hot computer technology information and news, check out their blog and podcast. Alliance for Distance Education Summit: I will be among the key speakers in the Alliance for Distance Education in California in Pasadena on April 2-5, 2008. It’s an exciting opportunity to meet and greet educational professionals committed to integration of web technologies into the classroom. I’m also tired of hotels, so I’ll be soon asking for a place to stay in a home during that week if anyone has a smoke-free place for me. Blogger and Podcaster Magazine: Blogger and Podcaster Magazine will feature me as a regular columnist this year. The next article coming out soon will be on the business of blogging, part of a series. Get your issue now! 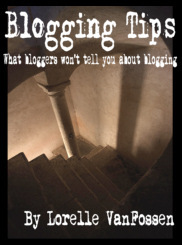 We will be ending the introductory “cheap” price on my book, “Blogging Tips: What Bloggers Won’t Tell You About Blogging” very soon. So get your order in now before the price goes up, along with the shipping rates. Choosing WordPress: Which WordPress to Choose? Why Are You Really Blogging? And What Keeps You Blogging? I ask another of those deeply soulful questions about why are you blogging, and what is the real reason you continue to blog over time. What Do You Bring to the Blog Table? A Remix or Your Own Special Recipe? This is a look at what goes into your blogging pot, a special mix of ingredients that makes your blog special. If you don’t know what the ingredients are, I’ve included a list. Black Hat Commenting takes a look at bloggers using comments in ways that attract attention and traffic, but also get the ire of many other bloggers. Does Your Blog Comments Strip HTML and Links? Many are tired of blog programs which strip out links and HTML tags from blog posts, taking away one of the great connectors of the web. Are You Losing Readers? How Do You Keep Your Readers Reading? Is your paperwork costing you time and money? from Freelance Switch is a good look at the hidden costs of doing business. How to title stuff From Seth Godin in a great look at titling your blog posts – and other things. Standards mode is the new quirks mode from 456 Berea Street looks at a stupid idea (in my humble opinion) to prepare the world for more Internet Explorer trouble. Beyond DOCTYPE: Web Standards, Forward Compatibility, and IE8 from A List Apart looks at the DOCTYPE and where it is going. From Switches to Targets: A Standardista’s Journey from A List Apart has Eric Meyers covering browser switching issues. Whose Internet is it anyway? asks a good question – who owns the Internet and who gets the money that will be coming when the Internet stops being “free”. Palm closing retail stores, paying out Treo owners is a news story that breaks my heart. Palm had such strength and power going for it, really breaking rules and setting new standards – but they got caught in the age of litigation and their back has been broken. What will become of the future of handheld computers? We haven’t had a decent model released in, what, four years? IE7 coming at you (whether you like it or not) talks about how Microsoft is going to push Internet Explorer 7 on users and businesses, whether they want it or not. This entry was written by Lorelle VanFossen and posted on January 26, 2008 at 1:40 pm and filed under Weekly Digest, WordPress with tags wordpress, WordPress News. Bookmark the permalink. Follow any comments here with the RSS feed for this post. Post a comment or leave a trackback: Trackback URL. I have something special for you. You might have heard of Blog Advertising before and how you can make some good money by blogging. But what about the payments? Every blog (except non-family friendly blogs) is accepted at BlogPayz. Just visit the site at http://www.BlogPayz.com and sign up as a Blogger. Select the categories your blog is about and away you go. Tasks will be sent to you via your nominated email address to either accept or reject each task. Once tasks are completed by you, you get paid. Simple huh? You might want to be an Advertiser as well. You will need to sign up separately as an Advertiser and submit a task. It’s as easy as that. BlogPayz has brought the best practises of all Blog Advertising services together under the one roof. No more strict rules, no more waiting around and bigger payouts for Bloggers. Sounds good? You know what to do.